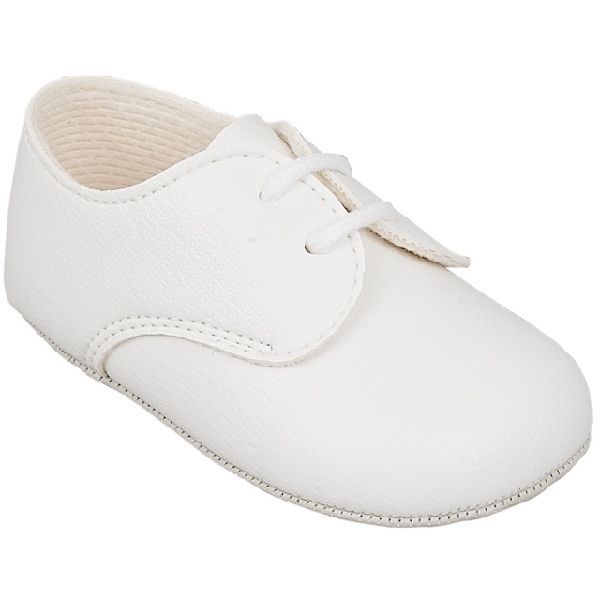 Baby boys white matt lace baypods shoes, perfect for your little boys christening day, attending a wedding or simply a special occasion. These lovely formal suit shoes are of a plain white matt. They have a lace up fastening with a soft and flexible sole. These are a perfect compliment to our 4 piece baby boy suits.